Unit　4　What’s the best movie theater? 八年级 英语 复习与练习 比较级与最高级 ▲用than 比较，选择疑问句比较， 上下文比较 1. Lucy draws better (well）than me. 2. Do you have more (much) books than Jim? 3. He drank less (little) juice than you. 4. There are more (many) girl students in Class 2 than in Class 1. 5. English is more important (important) than math. So we must study it hard. 6. This TV show is more interesting (interesting) than that one. 7. I did worse (bad)than you, so you are the winner. 8. Lucy is quieter (quiet) than Julie，but Tara is the quietest (quiet) of all. 9. Let's go to Danny's. The food there is cheaper (cheap) than any other place in town. 10. Who is much prettier (pretty)，Jenny or Jane? 11. The weather was bad yesterday，but it's much worse (bad) today. 12. Tom is the taller (tall)of the two boys. ▲比较级+and+比较级：越来越…（若比较级为more+形容词原级，则为：more and more形容词原级） 这个电视节目越来越受欢迎。 This TV program is getting more and more popular． ▲主语+谓语+最高级+比较范围 ▲比较范围一：of+人数 1. Of all the Chinese bands，I love TFBOYS best (well)． 2. I think English is the most interesting ( interesting)of all the subjects. I like it best. 3. He is the best (good) football player of the three. 4. Of all the boys，David did worst (badly)． ▲主语+谓语+最高级+比较范围 ▲比较范围二：in+地点 1. The radio station has the worst (bad) music in the city. 2. Does Gold Theatre have the most comfortable (comfort) seats of the five in your city? 3. Miss Zhao is the most popular (popular) teacher in our school. 4. I think Sunny Cinema is the best (good) cinema in town because it has the most comfortable (comfortable) seats and the biggest (big) screens. 5. He is the quietest (quiet) boy in my class. He almost never talks. 6. Henry sings best (well) in our class. ▲选择疑问句 1. Who is the shortest (short), Lily, Ann or Kate? 2. Who is the funniest (fun) actor in the play? 3. Who runs fastest (fast)，Jack，Mike or John? 4. Who is the most serious (serious)，Frank，Dave or Nick? ▲根据上下文判断（形容词的最高级前一般加the） 1. Jason’s is the best (good) store people like to go. 2. I think watching TV is the most boring （boring）thing at home. 3. Youyi Supermarket is the best in town. You can buy the freshest (fresh) vegetables there. 4. Han Li had the funniest (funny) act in the talent show. 5. You can sit most comfortably (comfortably) because they have the biggest seats. 6. The Yellow River is the second longest（long）river in China. 根据汉语完成句子 1. 城里最好的服装店是哪个？ What’s the best clothes store in town? 2. 那是离我家最近的大超市。 That’s the supermarket that the closest to my home. 3. 梦想服装店有全镇最差的衣服。 Dream Clothes has the worst clothes in town. 4. 我几乎没有钱了，因此我想买最便宜的衣服。 I have little money. So I want to buy the cheapest clothes. 根据汉语完成句子 5. 这家商店经常播放最舒服的音乐。 This shop often plays the most comfortable music. 6．在这家超市你能够买到最新鲜的蔬菜和水果。 You can buy the freshest vegetables and fruit in this supermarket. 7．哪家电台播放最无聊的歌曲？ Which radio station plays the most boring songs? 8．它有最大的座位，坐着最舒服。 It has the biggest seats and you can sit the most comfortably． 动词时态 1. My friends gave (give) me a surprise at my birthday party last week. 2. Last night, we went (go) to movies with our parents. 3. Liu Shishi is a famous actor. And she acts (act) many roles so far. 4. Yesterday his mother chose (choose) a red T-shirt. 词的用法 ▲one of+the+最高级+可数名词的复数 ……之一 1. I think one of the easiest (easy) ways to make you strong is to exercise more. 2. Miss Zhang is one of the most popular (popular)teachers, all the kid like her. 3. 第一中学是我们城市最漂亮的学校之一。 No. 1 Middle School is one of the most beautiful schools in our city. 4. 《体育新闻》是最精彩的电视节目之一。 Sports News is one of the most wonderful TV programs. ▲形容词，副词 1. You can buy these socks cheaply (cheap)．They're only two dollars a pair. 2. We should take our work seriously (serious). 3. He is a quiet （quietly） and shy boy. He hardly talks with others. 4. Look! The cat is lying on the sofa comfortably (comfortable). 5. Mr. Chan told us to write as carefully (care) as we could. 6. It's raining. You must drive carefully (care) enough. 7. Sally sang the most beautifully (beautiful)． 8. Mike is the most creative (creative) student in his class. 9. I can hear birds singing beautifully (beautiful) when walking through the park. 10. Though our house is very small，it is very comfortable (comfortably)． 11. 在那个新电影院里，你可以很快就买到票。 You can buy tickets quickly in the new movie theater. 12. 有些人确实有才赋。(truly; talented) Someone is truly talented. ▲名词单复数 1. It's important for you to know your talents (talent) and decide how to use them. 2. How many hours (hour)do you sleep every night? 3. Look! A tiger is running after some monkeys (monkey). 4. The boy had two meals ( meal) yesterday, so he is very hungry. 5. Would you like to go to the movies this evening？I have two tickets (ticket)． 6. There are all kinds (kind) of books in the bookshop. ▲介词后面的动词加ing 1. —感谢你帮助我。—不客气。 —Thanks for helping me. —No problem . 2. 谢谢你告诉我去邮局的路。 Thanks for telling me the way to the post office. ▲go+doing sth Let’s go shopping (shop)now. ▲不定代词 每个人都想知道怎样把它做好。 Everyone wants to know how to do it well. ▲ service 在我家附近的餐馆服务很好。 The service of the restaurant close to my home is very good. 词形变化 ▲ report--reporter win--winner perform—performer magic--magician 1. The reporter (report) works in the TV station. 2. Jim wants to be a reporter ( report) when he grows up. 3. 我是一名记者。你能回答我的问题吗？ I’m a reporter . Can you answer my questions? 4. Who was the winner (win) of the chess competition yesterday? 5. The boy is the winner (win) of the English competition. 6. The winner (win) is an 8－year－old girl in the dancing competition. 7. Xiao Shenyang performs very well. He is a good performer (perform) 8. Her friend wants to be a performer (perform) when she grows up. 9. I think Liu Qian is the most exciting magician (magic)． ▲ talent--talented create--creative health—healthy crowd--crowded 1. Grey plays soccer well. He is a talented (talent) player. 2. He was the most talented (talent) person of all in China's Got Talent. 3. 格雷格是最有天赋的舞者，对吗？ Greg is the most talented dancer，isn't he? 4. Look！How creative (create) this picture is! Who drew it? 5. 你认为谁是最具有创造性的表演者？ Who do you think is the most creative actor ？ 6. His father takes exercise every day, so he is very healthy . 7. 这个新超市总是挤满了人。 The new supermarket is always crowded . 固定短语 ▲ see/watch sb. do sth.观看某人做某事 Watch me do ( do ) it and then try to copy what I do. ▲ be fun doing sth 很高兴一直做某事 Sally had fun singing （sing) and dancing (dance) at the party. ▲ around the world全世界=all over the world 我决定周游世界。 I decide to travel around the world . ▲ so far 1. 到目前为止你最喜欢的歌曲是什么？ What’s your favorite song so far . 2. 到目前为止我不喜欢住在这儿。 I don't like living here so far ． 3. 到现在为止我有五个好朋友。 So far I have got five good friends. ▲ get the prize 她因唱歌好而获奖。 She got the prize for singing well. ▲ in common 1. 丹尼和我毫无共同之处。 Danny and I have nothing in common． 2. 《中国好声音》和《中国好歌曲》有很多共同之处。 The Voice of China and Song of China have a lot in common ． 3. 我和爱丽丝有许多共同爱好。 Alice and I have many interests in common. 4. 这对双胞胎有很多共同之处。 The twins have many things in common . 5. 我觉得汤姆和保罗没有任何相同之处。 I don't think Tom and Paul have anything in common ． ▲ play a role 1. 他在这次运动会中发挥了重要作用。 He played an important role in the sports meeting. 2. 这件事在发展生产中起到了重要的作用。 This thing plays an important role in developing production. 3. 梦想在人们的生活中起着重要的作用。 Dreams play an important role in people's life. ▲ up to 1. 去打网球还是游泳，都由你决定。 Go to play tennis or swim—it's up to you. 2. 由你来决定接下来做什么。 It is up to you to decide what to do next. ▲ all kinds of 1. 课后我们有各种各样的活动。 We have all kinds of activities after class. 2. 市场上有各种各样的蔬菜。 There are all kinds of vegetables in the market. 3. 在2014年我们看到了各种各样的电影。 We watched all kinds of movies in 2014. 4. 山前有各种各样的花吗？ Are there all kinds of flowers in front of the mountain? ▲ enjoy doing sth 并不是人人都喜欢看足球赛。 Not everyone /everybody enjoys watching the football match. ▲ make sb do sth My mother made me wait (wait) for her at the gate. ▲ take... seriously 1. 这次竞赛很重要，你要认真对待。 The competition is very important. You should take it seriously． 2. 老师希望我们能够认真对待未来。 The teachers hope that we can take our future seriously. 3. 请认真对待这份工作，否则你的妈妈会生气的。 Please take the job seriously , or your mother will be angry. 4. 我只是开玩笑，但是他却当真了。 I just joked, but he takes it seriously. 5. 因为认真对待工作，他获得了最佳员工奖。 Because of taking his job seriously , he won the prize of the best worker. ▲ come true 你必须努力学习才能实现梦想。 You must work hard and your dreams will come true. ▲ how long —图书馆离你家多远？—步行大约10分钟。 — How long is the library from your home? — About 10 minutes on foot. ▲ a way to do sth, the best way to do sth， the best place to do sth 1. 阅读是学好英语的一种方法。( a way to) Reading is a good way to learn English well. 2. 格林公园是散步的最好的地方。 Green Park is the best way to take walks. 3. 这个公园是放风筝的最好地方。 The park is the best place to fly kites. 4. 图书馆是适合阅读的最好的地方。 The library is the best place to read. ▲ talent show 很多人不喜欢才艺表演节目。(don’t like; talent show) Many people don’t like talent shows. 词语辨析 ▲ such as, for example 1. 他很擅长球类运动，例如，足球和篮球。 He is good at ball games，for example，football and basketball. 2. 有些欧洲语言来自于拉丁语，例如法语和西班牙语。 Some of the European languages come from Latin, such as French and Spanish. 3. 上周我们班许多男孩子，例如马克和戴尔，经常看足球比赛。 Last week lots of boys in our class， for example ，Mark and Dale often watched soccer games. 句型句子 ▲动词+it+形容词+to do sth 我觉得能和你一起拍照真是十分幸运。 I fell it lucky to take photos with you. ▲what do you think of 你觉得这些表演怎么样？(think of) What do you think of the shows? 单词拼写 1．I dislike this movie，but I like the songs (歌曲) in it. They are all beautiful. 2．We know that Yi Wang is a popular magician (魔术师) from Taiwan. 3．You should get up early and go out for some fresh (新鲜的) air. 4．The food is good but the service (服务) is very bad in the restaurant. 5．She was too poor (贫穷的) to buy new clothes for her children. 6．Lisa sang an English song (歌) at the party. 7．I have two tickets (票) for tonight's talent show. Do you want to go with me? 8．She looks more beautiful than on the screen (屏幕)． 9．Do you know who won the first prize (奖) in the competition? 10．My brother has many old books. He gave (给) them to the school yesterday. 11. Steve joined （参加）the school dancing club last year. 12. Each of the young should choose （选择）their own ways to plan their own future. 13．The radio station 92.1 FM is quite bad. It is worse (更差的) than 970 AM. 14．We usually eat three meals (餐) a day，breakfast，lunch and supper. 15．Is there any fish on the menu (菜单) at the restaurant? 16．It is pretty/ quite (相当) cold this morning. Please wear your hat. 17．Bill acted/ cats (扮演) the old farmer in the play. 18．This question seems easy，but not everyone / everybody (每人) can answer it. 19．How about giving (给) the kite to the little boy? 20．Performer means that an actor plays a role (角色) in a movie. 21．Tu Youyou won the 2015 Nobel Prize (奖)． 22．The air in the mountains is fresh (清新的) and clean. 23．The screen (屏幕) of the computer is too bright. It's bad for your eyes. 24．There are too many people in the subway. It's really crowded (拥挤的)． 25．John is a smart boy. He always has creative (创造性的) ideas. 26．The park is very closed (近的) to my home，so my parents often take a walk there after dinner. 27．Why don't you take the thing seriously (认真地)? 28．Mr.White put his English book on the seat (座位) and then left. 单项选择 ( D ) 1. Of all the streets in our city, Zhong shan Street is . A. the busier B. the busyest C. busiest D. the busiest ( A ) 2. (天津) Who listens , Tom, Jack or Bill? A. the most carefully B. more carefully C. the most careful D. more careful ( D ) 3. We’ll try to do work with time than before. A. much; much B. little; little C. less; more D. more; less ( B ) 4. Of the two T-shirts, I’ll choose the one to save money for a book. A. cheapest B. cheaper C. more expensive D. most expensive ( D ) 5. —Which is month of the year?—July, I think. A. hot B. hoter C. hotter D. the hottest ( C ) 6. (贵州黔西南) —Are you sure you can do well in the final exam? — . I’ve got everything ready. A. No, I’m not sure B. It’s hard to say C. Yes, I think so D. I hope that ( B ) 7. (四川遂宁) If we Chinese work hard together, China Dream will . A. come out B. come true C. achieve D. come to ( D )8. —Hi！Lisa! Are you feeling better today? —No. I am feeling even . A. good B. bad C. well D. worse ( B ) 9. Of the three cinemas, you can buy movie tickets at Town Cinema. A. more quickly B. the most quickly C. quicker D. quickly ( D ) 10. He an interesting story and all of us liked it. A. made B. make up C. made of D. made up ( D ) 11. Nobody is as as Sandy, so we all like make friends with her. A. politely B. carefully C. likely D. friendly ( D ) 12. Tom is better than other students at football. A. played B. to play C. play D. playing ( D ) 13. The twins both like sports and music. They have some things common. A. with B. at C. for D. in ( D ) 14. —There are seats in Town Cinema.—Yes, you can sit there . A. comfortable; comfortable B. comfortably; comfortably C. comfortably; comfortable D. comfortable; comfortably ( D ) 15. In our class, Grace is the . She always makes everybody laugh. A. tallest B. youngest C. quietest D. funniest ( C ) 16. It’s all you whether you go or not. A. to up B. up with C. up to D. up for ( C ) 17. (江苏淮安) Of all the subjects, English is for me. A. interesting B. more interesting C. the most interesting D. much more interesting ( A ) 18. is very important for us to learn more knowledge. A. It B. That C. This D. All ( B ) 19. ( 湖北武汉) —Morning, class. Is here? —No, sir. Tom is absent. A. anybody B. everybody C. nobody D. somebody ( D ) 20. I think Andy Liu is one of the movie stars in China. A. popular B. popularity C. more popular D. most popular ( B ) 21. The People’s Park is the best place on weekends in Xiao gan. A. to go B. to go to C. going D. going to ( A ) 22. Simon spent money on CDs of all, but he had CDs. A. the least; the most B. the most; the most C. the fewest; the least D. the fewest; the most ( A ) 23. — is the street crowded with so many people? —Because they are waiting to watch the boat races. A. Why B. Where C. How D. Who ( A ) 24. —Laura enjoys story books. —Me, too. A. reading B. read C. to read D. reads ( D ) 25. That singer is . 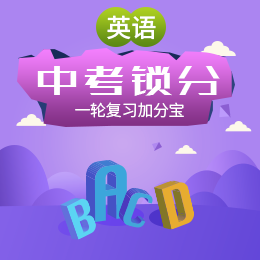 A. more popular and more popular B. more popular and popular C. popular and more popular D. more and more popular 句型转换 1. Movie World is a good movie theater. (用in our city改写句子) Movie World is the best movie theater in our city. 2. He is taller than any other boy in his class. (改为同义句) He is the tallest boy in his class. 3. 970 AM is the most popular radio station in town. (对划线部分提问) What / Which is the most popular radio station in town? 4. I think the restaurant is great. (对划线部分提问) How do you like the restaurant? 5. You can ask me some questions. (改为一般疑问句) Can I ask you any questions? 6. He knows a little about Chinese. (对划线部分提问) How much does he know about Chinese? 7. I think Eliza is the best student in our class. (对划线部分提问) Who do you think is the best student in our class? 8. Town Cinema has the friendliest service. (改为一般疑问句) Does Town Cinema have the friendliest service? 9. The supermarket is about ten minutes’ walk from my home. (对划线部分提问) How long is the supermarket from your home? 10. She is the most careful in her class. (改为同义句) She is more careful than any other student in her class. 11. Tina was the best performer. ( 对划线部分提问) Who was the best performer? 12. Jim is taller than the other two. (改为同义句) Jim is the tallest of the three. 13. I like him because he is the greatest player in the world. ( 对划线部分提问) Why do you like him? 14. The lives of the actors are made up. (改为一般疑问句) Are the lives of the actors made up? 15. My father gave me a bike as my birthday present. (改为同义句) My father gave a bike to me as my birthday present. 习作范文 In our city，Modern Cinema is the best movie theater because it has the best sound and the shortest waiting time.No.8 High School is the best of all the schools. It has the best teachers and it's the most beautiful. People's Hospital is the best of all. It has the most comfortable beds and the friendliest service. For clothes stores，the best is Xinxin Clothes Store. It has the cheapest and the best clothes. And it's also very popular.